The Lagos State Police Command has arrested four persons for allegedly attempting to assasinate a 60-year-old woman, Gladys Osaigbovo. The suspects have allegedly confessed that they were contracted to kill the woman by her younger sister who is based in London. They also confessed that they were given part-payment of N500,000, leaving a balance of N4.5 million. 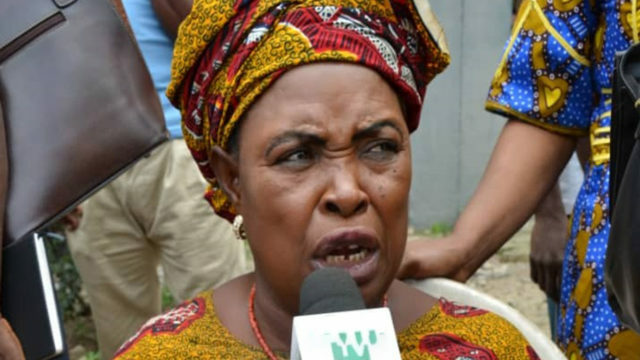 The Lagos State Commissioner of Police Mr. Imohimi Edgal, who paraded the suspects, said on July 26, the Divisional Police Officer, Igando police station, CSP Taiwo Kasumu and his team rounded up a gang that had been mobilised to assassinate one Gladys Osaigbovo-Omon, 60 years old, an indigene of Benin City, Edo State. The CP said the crux of the matter was a case of human trafficking gone awry. To make it clearer, Gladys Osaigbovo-Omon and Augusta are siblings, the eldest in the family being Gladys. “However, a time came when Gladys Osaigbovo-Omon begged her younger sister, Augusta to take her daughter, Mercy overseas for better life. She obliged and took Mercy to the UK. While at the UK, it dawned on her that her aunty, Augusta, is a leader of a prostitution ring and indeed, had recruited her into prostitution in London. “Mercy refused to submit herself for the illicit trade prompting Augusta to give her up to police authorities in the UK. Somehow, Mercy wriggled out of the trouble and convinced the UK police that her travail was caused by Augusta who brought her to London with job promises unknown to her that she had ulterior motives. The police now turned against Augusta and jailed her,” Imohimi said. “When Augusta finished her jail term, she complained to her sister Gladys, that her daughter, Mercy, whom she brought from the village to help, has ruined her. Feeling that her sister was supporting her daughter she decided to procure assassins to eliminate her in revenge. “When the DPO, Igando, CSP Taiwo Kasumu, got a whiff of the plans to kill Gladys, he planted two agents provocateurs namely, Igbinedion Ogbevon ‘m’ and Success Ehiosun , to play along with the hired assassins. The gang assembled and were paid N500,000 by Augusta , as a mobilisation for the job. The names of the assassins are ,Osaro and Lucky . “Together they went to Benin-City and identified their target, Gladys Osaigbovo, after which, they returned to Lagos and requested Augusta to give them the balance of N4million It was at this stage that they were rounded up,” Imohimi concluded. “Trouble started when she wanted to force her into prostitution ,but Mercy who is a devote Christian ,refused to compromise. Augusta got angry that Mercy did not do her bidding and reported her to the UK police that she came to London with fake documents and she was arrested. “During interrogation, Mercy told the police that the documents were procured for her by Augusta who had spent 16 years in UK. Augusta was arrested and jailed. After her jail sentence, Augusta decided to kill me because I did not advise Mercy to cooperate with her. “I thank God for his gifts. I am a cheerful giver, when the assassins came, I offered them drinks and water, I did not even know they were coming to kill me. It was after their arrest that one of them confessed that the drinks and water I served them saved my life. One of the hoodlums reported the matter to the police. I thank God for saving me”. Edgal said he has contacted the International Police (Interpol) to wade into the matter and repatriate Augusta to Nigeria for prosecution. He said he was proud of Mercy who stood her ground and refused to do join the band wagons. He also advised parents to be careful when people offer to take their children to abroad for jobs as they may be forced into prostitution.